Music Gifts: Why play brass when you can wear it? Hey, remember how in The Trumpet of the Swan there’s the swan Louis who can’t make any noise, so his dad steals him a trumpet so that he can communicate? Well, here’s a dress covered in brass instruments, so that your favorite dress-wearer can properly communicate the fact that she likes a handful of brass and she’s not afraid to get down to brass tacks and she’s certainly not afraid of bad puns. Okay, those two are only tangentially related. Mostly I wanted to know if you remember The Trumpet of the Swan. WAY better than Stuart Little. If you don’t like the dress, buy a copy instead. 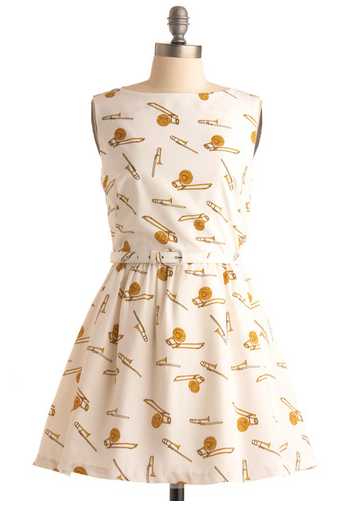 But why wouldn’t you like a dress covered in brass instruments? It’s freakin’ adorable. It’s also just under $400 at Modcloth, but you know, whatevs. Looking for something a little cheaper but just as punny? 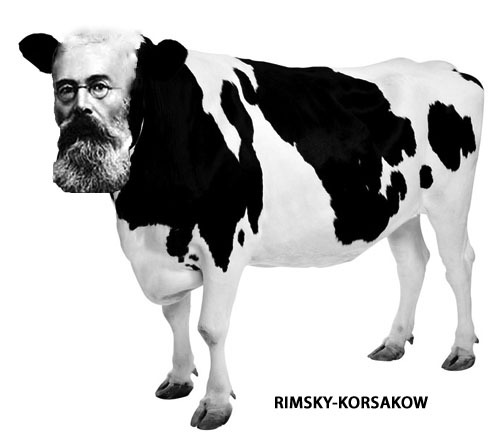 Why not consider this delightful Rimsky-Korsakow mug, one of a multitude of delightful music items in the AB store? Strike your music teacher off your shopping list today! Well, that was scarcely a contest. 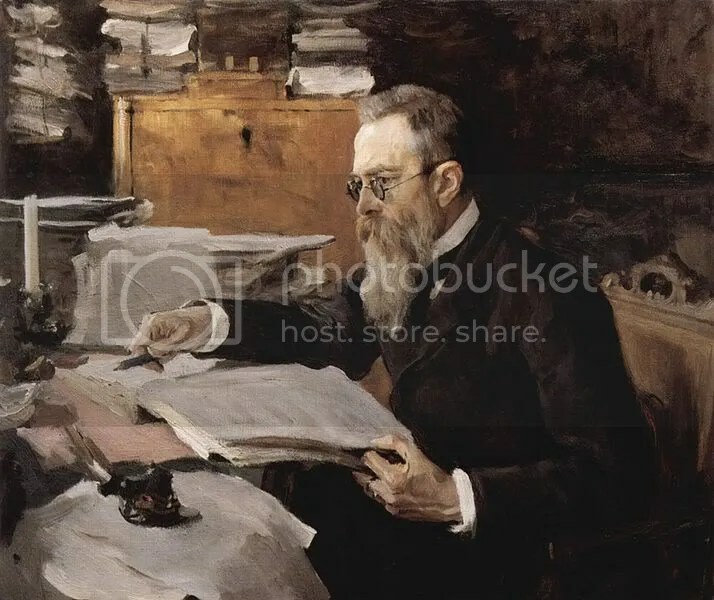 Which is not to say Rimsky-Korsakov should feel bad; at least he wasn’t a one-vote wonder. But PIOTR! ILYICH! 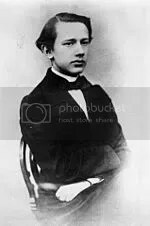 Tchaikovsky took that round pretty handily. He may now dance himself back to the locker room and await his next opponent. Well, what’ll it be? Ethnomusicology FTW again? 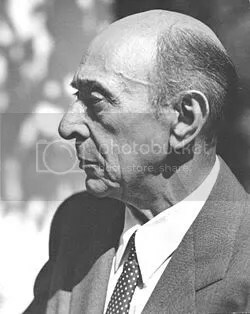 Or will Schoenberg be transfigured once more? Tut tut, it looks like rain! I promised this for a rainy day (and as a bonus, fogging like nobody’s business), and as it’s raining over here, enjoy your “Bumble Boogie.” Try not let the piano get you! Also, this reminds me of the time I decided I was going to swing a Vivaldi violin concerto. My teacher was not amused, but then I never liked that jerk anyway. Swing it, R-K! Let’s talk about v, ff, and w.
Specifically, let’s talk about the Russians. So they’ve got their Cyrillic alphabet, and when we translate their names there’s a bit of room for interpretation. In English you’ve got your vuh sound, your ffuh sound, and your wuh sound. If translators are to be believed, the Russians somehow have a sound that combines all three. 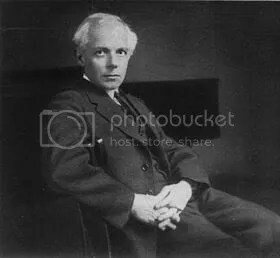 Which is why you sometimes see Prokofiev but other times you see Prokofieff. 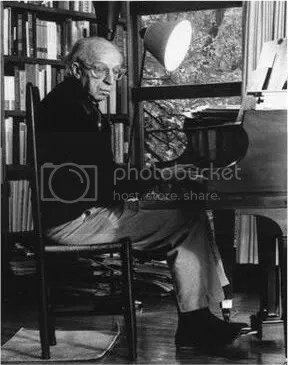 However, I, for one, almost always see Prokofiev (spell check won’t even accept Prokofieff, if you need a further argument). By contrast, I almost always see Rachmaninoff, rarely Rachmaninov. But I do see some swappage. Between v and ff I accept some mixing. This story, however, is about w.
The scene: eleventh grade. That all-county orchestra with the conductor who was essentially a blonde manifestation of evil. Her favorite piece was Scheherazade. Okay, fair enough. One night at the beginning of the second semester she gave us the Kalendar Prince movement. I looked at the top of the first page and there it was: Rimsky-Korsakow. Korsakow? Who you callin’ fat, Mr. Sheet Music Publisher? I pointed this out to my friend Paul, who was for some unfathomable reason my stand partner in the second violins even though he’s like 12,000 times better on his worst day than I am on my best. “You think so?” I said, doubtful, because conductor C was without a doubt the devil incarnate (someday I’ll tell you about the Mozart Incident. It is not what you think). I am an idiot. I know this because I raised my hand and asked why Rimsky-Korsakov was spelled with a w.
She looked at me. There was enough of a lengthy pause to make the whole orchestra start to giggle. Later on, at the concert, the whole movement almost dissolved into chaos, prompting one audience member to turn to his friend and say, “It sounds like it’s falling apart, but I think it’s supposed to be that way.” Coincidence? I don’t think so. What have we learned here? Well, we learned that you should never ask questions because teachers secretly hate the spirit of inquiry. We learned that it is really hard to tell if Paul is actually trying to mess with you. What we did not learn is who decides how to spell the names of Russian composers and why. Where are my Russian scholars?